We're proud to be an official "Great Place to Work,®" but as our name suggests, it's all about the technology. We don't just get things done, we excel at engineering, and we pioneer programming through team collaboration across all levels of experience, allowing us to deliver business value in a big way. Staff award and recognition schemes. Peer to peer recognition rewards. MacBook and Windows devices available. Financial support for further learning. Free access to AWS certs. 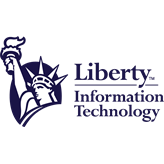 Want to get notified about new jobs at Liberty IT?